We are counting down the days to our next show – “Rave On” – The Music of Roy Orbison, Buddy Holly, and Other Legends on Saturday, May 19th at 7:30 pm. As of this post, we have 85-floor seats and 121 balcony seats remaining. This may seem like a lot, but all advertising has been launched – newspaper (Somerset Daily American/Tribune-Democrat) last week, radio advertising on Cool 101.7 and television advertising on WJAC have started this week. Ticket sales will really pick up from this point forward. So don’t wait to get your tickets. Call the Box Office today! Office hours are Monday through Friday from 10 am to 4 pm. Or just click on the BUY TICKETS tab of this website, review the seating chart, pick your seats and then pay for them with a major credit card/debit card. “Rave On” hasn’t been here for 2 to 3 years, but you all enjoyed the show and asked us to get them back again and we delivered! See you at the show on May 19th! 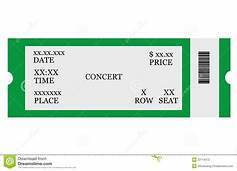 http://arcadiawindber.com/wp-content/uploads/2018/05/Ticket-Clip-Art.jpg 171 237 Windber Arcadia Windber Arcadia2018-05-07 15:33:172018-05-07 15:34:08"Everyday It's a-Gettin' Closer...."
What’s Happening Today? Today, We Celebrate….